Weddings Open Day - Saturday 4th May - Villa Katarina, Zurrieq. Caterers are by far one of the most important suppliers for a wedding. Maltese weddings come with high expectations when it comes to food and you do not want your guests to be disappointed. 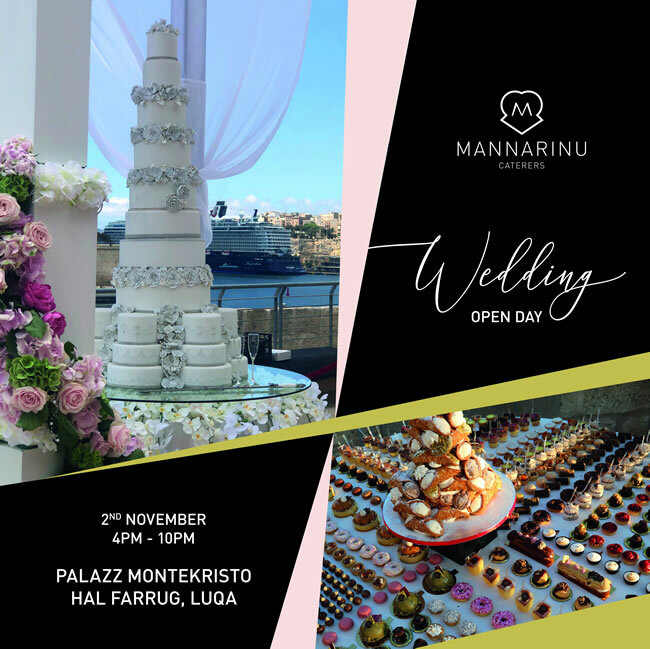 We invite you to sample the launch of new items for your wedding menu at our next Weddings Open Day on Saturday 4 March at Villa Katarina in Zurrieq. Let us have your food sampling slot booked as early as possible. You are receiving this email because you subscribed or have been subscribed to our online service or you provided us with your contact details. If you would like to no longer receive from our mailing list, please contact us at info@bridemalta.com. This message has been scanned for computer viruses, however we do not accept any liability whatsoever in respect of any potential damage caused by any virus which is not detected. The information provided in this document is provided 'as is' without warrantly of any kind, either expressed or implied. Thank you.